Join our team or donate here. 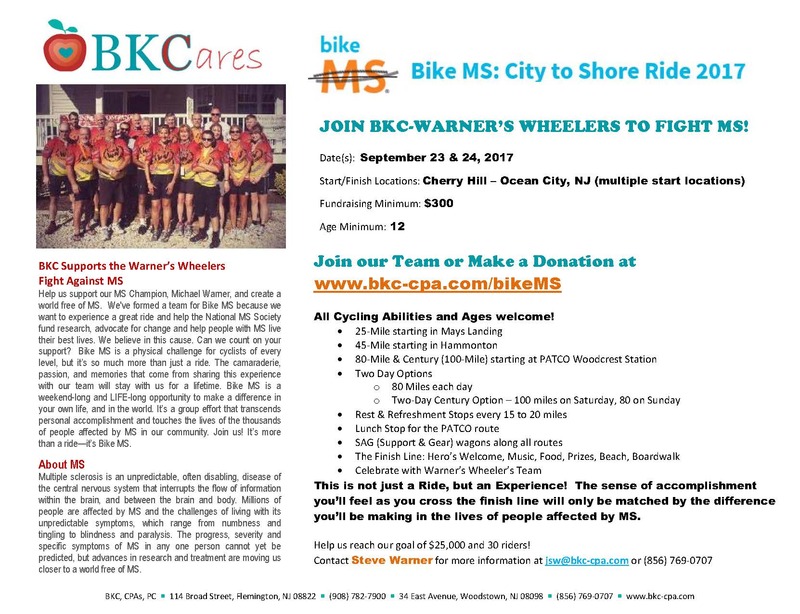 Help us support our MS Champion, Michael Warner, and create a world free of MS. We’ve formed a team for Bike MS because we want to experience a great ride and help the National MS Society fund research, advocate for change and help people with MS live their best lives. We believe in this cause. Can we count on your support? Bike MS is a physical challenge for cyclists of every level, but it’s so much more than just a ride. The camaraderie, passion, and memories that come from sharing this experience with our team will stay with us for a lifetime. Bike MS is a weekend-long and LIFE-long opportunity to make a difference in your own life, and in the world. It’s a group effort that transcends personal accomplishment and touches the lives of the thousands of people affected by MS in our community. Join us! It’s more than a ride—it’s Bike MS. Multiple sclerosis is an unpredictable, often disabling, disease of the central nervous system that interrupts the flow of information within the brain, and between the brain and body. Millions of people are affected by MS and the challenges of living with its unpredictable symptoms, which range from numbness and tingling to blindness and paralysis. The progress, severity and specific symptoms of MS in any one person cannot yet be predicted, but advances in research and treatment are moving us closer to a world free of MS.